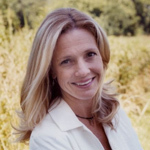 Patti Callahan Henry is the New York Times bestselling author of six novels: Losing the Moon, Where the River Runs, When Light Breaks, Between the Tides, The Art of Keeping Secrets, and Driftwood Summer. Patti is hailed as a fresh new voice in Southern fiction. She has been short-listed for the Townsend Prize for Fiction and has been nominated for the Southeastern Independent Booksellers Fiction Novel of the Year. She is a frequent speaker at luncheons, book clubs, and women's groups, where she discusses the importance of storytelling. Patti lives with her husband and three children outside Atlanta on the Chattahoochee River.